AAEON, as one of the leading designers and manufacturers of advanced industrial and embedded computing platforms building an intelligent vending machine, leveraged Microsoft technologies and adopted a Microsoft IoT Platform versus Azure PaaS services as the accelerator for their new business expansion. Traditionally, a business manager for vending machines has a certain distance to the market, and is hard to make a decision that brings the most profit. 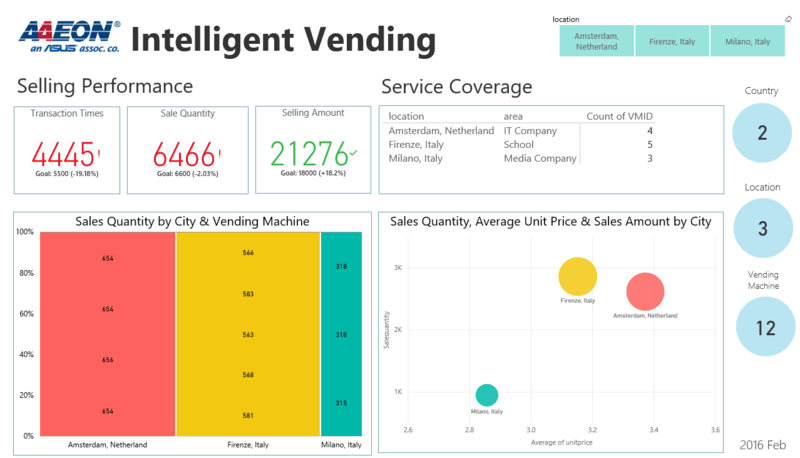 The up-to-date service coverage of the business is presented, and the selling performance from the measures of transaction times, sale quantity, and selling amount by country, location, and individual vending machine can be observed. 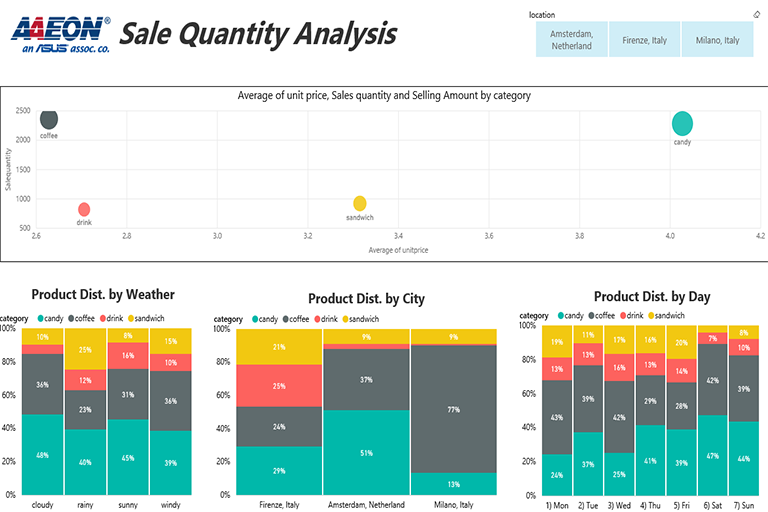 The sale quantity of the products by four categories are analyzed by location, time, and weather variables. The users can understand the consumption pattern for the customers in different location, and further drill down to explore the consuming timing during the day of a week, and the period of a day. Also, the influence caused by the weather and the temperature is considered. The information can be helpful in designing the marketing campaign, and assist the decision makers to sell right product to right location at right time. The selling profit and the profit rate for each location and each vending machine can be observed. The comparison between the average product price and the average sold product price can provide a hint about the general accepted pricing to a category of the products in a location. The information can aid the decision makers to set the pricing with regard to the profit and the sale quantity. The information of the re-stocking history and current stock monitor is available. 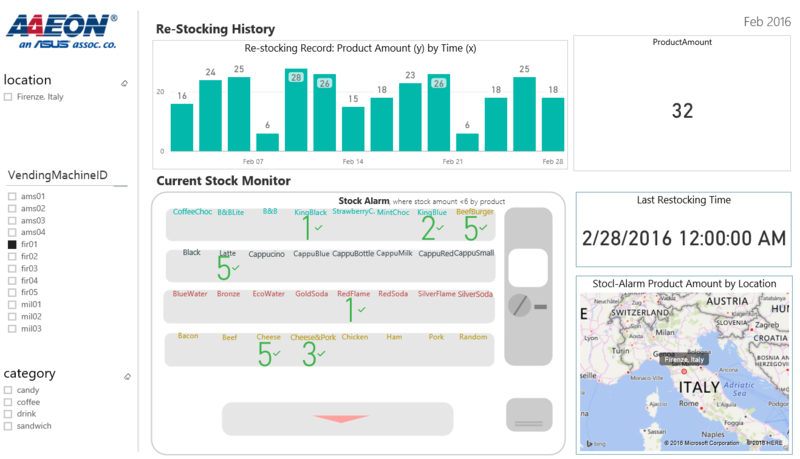 The re-stocking history can be traced by time and re-stocking product amount by location, vending machine, and product category. The user can track the record and refine the schedule accordingly.